The TVAddons GitHub Browser for Kodi has revolutionized installation of streaming video addons and more. It actually had its name changed to Git Browser at a request to TVAddons from GitHub itself, but many people refuse to give up on the name that makes more sense to them. The Git Browser from TVAddons allows you to install all the Kodi addons you’ve come to love directly from GitHub, the popular repository-hosting site. Follow this MTM guide on how to install TVAddons Git Browser on Kodi to make your streaming experience more enjoyable. Note that since the release of Kodi 17 Krypton, you must enable unknown sources in Kodi before any third-party add-ons may be installed. You’ll also find a step-by-step illustrated guide to install TVAddons Git Browser below if preferred. Navigate Kodi System >> File Manager >> Add Source >> NONE. 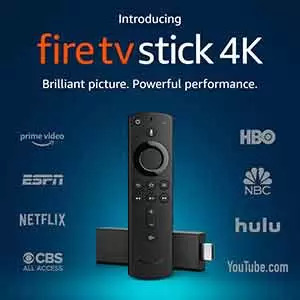 Type http://fusion.tvaddons.co/ then click OK.
Name this source xbmchub, check the URL for typos, then click OK.
Navigate Kodi Add-ons >> Add-on browser >> Install from zip file. Navigate to xbmchub >> begin-here >> plugin.program.indigo-X.X.X.zip and click it. In Kodi Add-ons, open Indigo >> Addon Installer >> Git Browser to install. To watch all the latest free streaming movies, TV shows, and even live sports you could ever want with Kodi addons, check out our best working Kodi addons article. Everything from the XBMCHub repository is considered “unofficial” by XBMC Foundation standards. In case you missed the note above, this means you’ll need to enable unknown sources in Kodi 17 Krypton or newer before being allowed to install Git Browser by TVAddons. Also known as Fusion repository, XBMCHub repo need not be installed. We only need access to the source location, so the URL must be provided to Kodi. Open Kodi Krypton and go to the System icon that looks like a gear at the top of the menu. Next, click on File Manager. Then, double-click on Add Source. Then, enter this URL carefully http://fusion.tvaddons.co/ and click OK. Type the media source name xbmchub in, then click OK again. Then, click the Add-on browser icon in the top corner. Scroll down to select xbmchub we installed in the first stage. Click on begin-here and then select plugin.program.indigo-X.X.X.zip. Indigo Addon will now install. Once installed, circle back to Kodi Home screen and click Add-ons. Then, select Video Add-ons within which you will find Indigo. Open TVAddons Indigo Kodi add-on, then click on Add-on Installer. From the list, then select GitHub Browser. Using the Git Browser is super easy—just type the name of an add-on or repository developer you wish to install from, then download popular Kodi add-ons in a single click. Git Browser eliminates many of the multiple steps previously required to install a single Kodi add-on. Installing directly from GitHub also eliminates the need to memorize or lookup repository source URLs. Let’s get the KodiBae Repo installed with the TVAddons GitHub Browser. Inside Kodi Bae Repo, you’ll find the newly updated Exodus 6.0.0, which is currently the best working Kodi addon available. An instruction notification will appear displaying instructions on how to use the GitHub Kodi browser. In the list of options provided, click Search by GitHub Username. Install the Covenant plugin video and click yes to confirm installation. You will be prompted to restart Kodi. Do so. Once Kodi restarts (you may need to start it back up yourself), head into Add-ons >> Add-ons browswer >> Install from repository, where you’ll find Kodi Bae Repository. As a web-based platform, GitHub focuses on git distributed version control and source code management, but they go far beyond that. GitHub hosts millions of public and private software development projects. This includes projects from Microsoft, IBM, Facebook, Google, and even NASA. Most Kodi developers also make their home on GitHub. Before this addon was released, that potentially made finding your favorite Kodi TV addons both easy and difficult at the same time. The GitHub website is a hosting service for open-source projects and much more. As such, it provides access to various Kodi repositories along with millions of other development projects. Currently, it has almost 28 million users and hosts about 57 million repositories. It is the largest host of source code in the world and not going away anytime soon. All Kodi developers are volunteers and GitHub users. When launching a new repository or addon, they upload their repository zip file or addon plugin file to GitHub. You can always download the repository directly on Kodi Krypton 17.6, even if the URL link is not working at that moment. Repos and addons are taken offline quite often due to allegations of piracy. This is one of the many reasons the IPVanish VPN is so necessary when using Kodi. Using the new GitHub Browser from TVAddons enables anyone to install many Kodi addons. This ease of using the Git Browser depends greatly on your Kodi ability level and googlefoo . If a developer makes their home on GitHub (most do), the GitHub Browser can find their work. It then fetches repos, builds, and TV addons from the developer’s own GitHub repository. The GitHub Browser gives users a seemingly endless choice of TV addons. It also gives independent developers a very easy way to distribute their addons. Aligning themselves with groups or communities for distribution. Developers sharing their GitHub usernames will make their Kodi TV addons discoverable. What is Kodi TVAddons GitHub Browser? GitHub Browser can be used from within the TVAddons Indigo Kodi addon. Indigo was brought to you by the same team that developed the Fusion Installer, and the Configuration Wizard, a once popular addon until the Fusion Kodi Repository was forced to shut down by the authorities. GitHub Browser Kodi is the new and improved way to install addons by allowing you to install Kodi addons or repositories directly from GitHub. You will be presented with three options once you have installed TVAddons Git Browser on Kodi. There are multiple ways to use the search function, input the repository, addon or developer’s name to find the streaming option that best suits your needs. Once you find the addon you were seeking, simply click on it to install directly on your Kodi device without going through multiple steps. Below we will outline a number of benefits obtained from using the TVAddons GitHub Browser. With the installation of one Kodi addon, you can benefit from nearly any Kodi addon hosted on GitHub. No need to memorize the repository source URL or install addons from zip files on Kodi. After you install the TVAddons GitHub Browser, all you need to do is type the GitHub username of the developer or maintainer of any repository or addon you wish to install on your Kodi device. Adding repository sources in File Manager consumes a lot of space on your Kodi memory. This consumption of space by repositories can be a major cause of buffering issues in Kodi. GitHub Browser by TVAddons will save you a lot of space because it doesn’t require you to download the source. Instead, the Git Browser only installs the Kodi addon you want. Kodi developers can distribute their addons on GitHub without needing to share links to repository URLs. This prevents repositories from being shut down frequently. It also allows developers to work more freely without concern of sabotage. Is TVAddons GitHub Browser Safe to Install on Kodi? GitHub Browser on Kodi is completely safe if you’re using a VPN to protect your online identity and keep snoopers away. 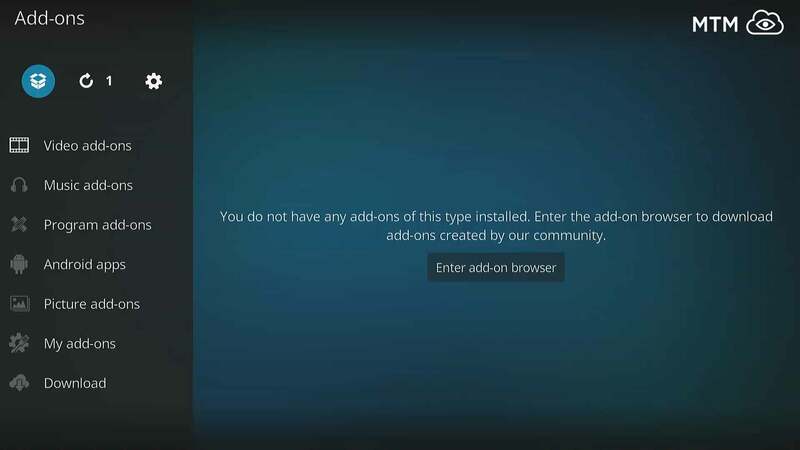 When you’re done installing Indigo Kodi add-on, you’ll probably notice that you have installed other Kodi addons in the process. Not to worry, these program addons are required to be there to support the GitHub browser. Is it Safe to Install TV Addons Repository? It’s completely unnecessary and not recommend to install the Fusion Kodi add-on or the TVAddons repository itself. Following the GitHub Browser install guide provided above, you won’t need to. GitHub Browser is a revolutionary change to installing Kodi 17.6 add-ons! The TVAddons GitHub Browser will save you time and free up your system for better quality streaming experiences. Follow MTM’s guide on how to install GitHub Browser on Kodi and directly download Kodi add-ons and repositories on your Kodi entertainment center software. We can hope this new project takes off without becoming its own centralized point of failure. This happened to the Ares Project around the time their Ares Portal Kodi addon was released. The Ares Portal was the Ares Project’s brand new shopping basket Kodi TV addon installer. Many hailed it as a long-awaited, revolutionary new way to install Kodi TV addons. Outside forces pulled it down and plunged it into obscurity soon after launch. Popularity led to the ultimate failure and death of the entire Ares Project. TVAddons do seem much more tenacious in standing their ground against those who would bring them down. The TVAddons fight has lasted nearly a year against litigious parties mistaking the provision of entertainment tools as the intentionally malicious enablement of pirates. The TVAddons team tied the GitHub Browser to their Indigo Tool. This seems to point at a few possibilities for failure in the future. Enjoy the Git Browser from TVAddons while it lasts, and hope it lasts a good long time.